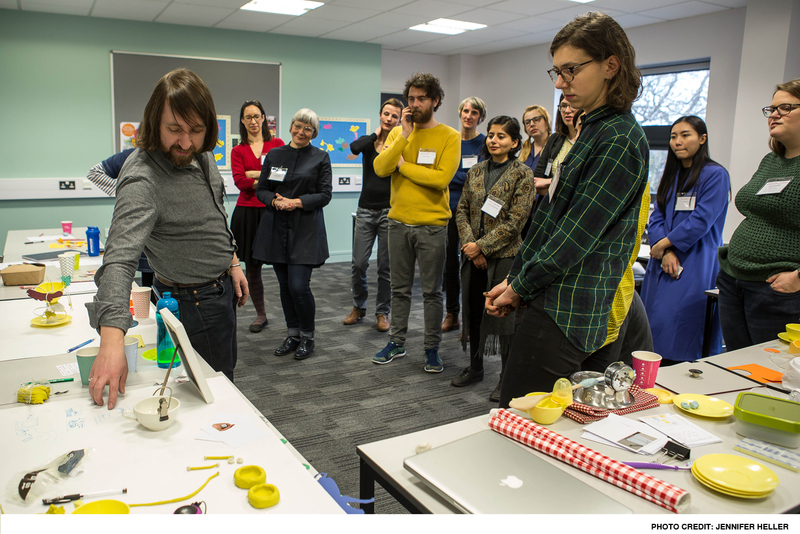 “On February 17th, designers, researchers, PhD students, anthropologists and practitioners of various disciplines gathered for the Material Desires workshop, to do design led explorations of the home/work divide. 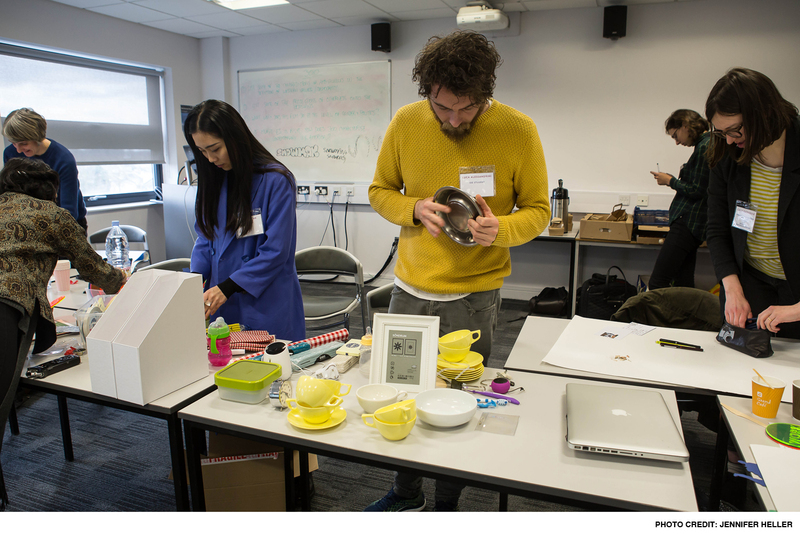 The event, which took place at Goldsmiths, was led by PhD student Paulina Yurman from the Design department, and was sponsored by the EPSRC’s Balance Network. The workshop consisted of design-led activities which aimed to open up a space for discussing our daily management of roles related to work, home, family and other domains, and to develop design proposals for debating and discussing in a group. 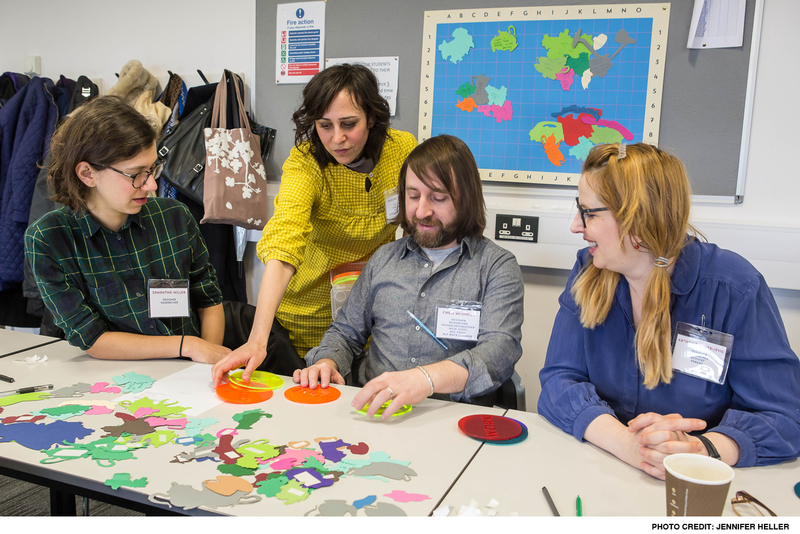 The morning session started with a ‘geography’ activity; island shaped cards were used to create a landscape of our daily juggling of identities. Using geographical terms and linking them with daily activities encouraged free associations from which themes might emerge for discussions. 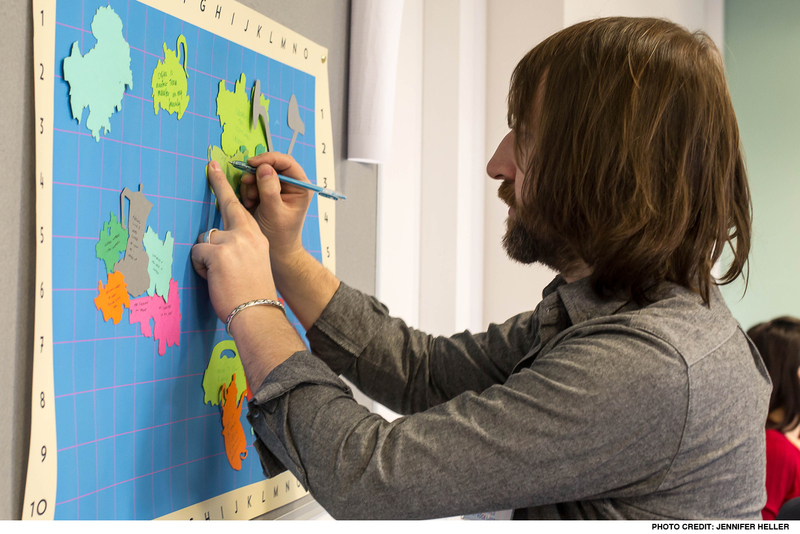 For example, ‘valley of owed favours’ and ‘island of procrastination’ were loose terms for islands on the map that described the emotional landscape and helped us open a space from which to explore throughout the day. In a second activity, semi-transparent discs were used to discuss the intersections and separations of identities related to family, home, work, etc. These props were useful in visualising and debating the themes we were exploring. Encouraging debates, the afternoon session aimed to promote group work to produce design proposals to give material form to the themes that emerged during the earlier activities. 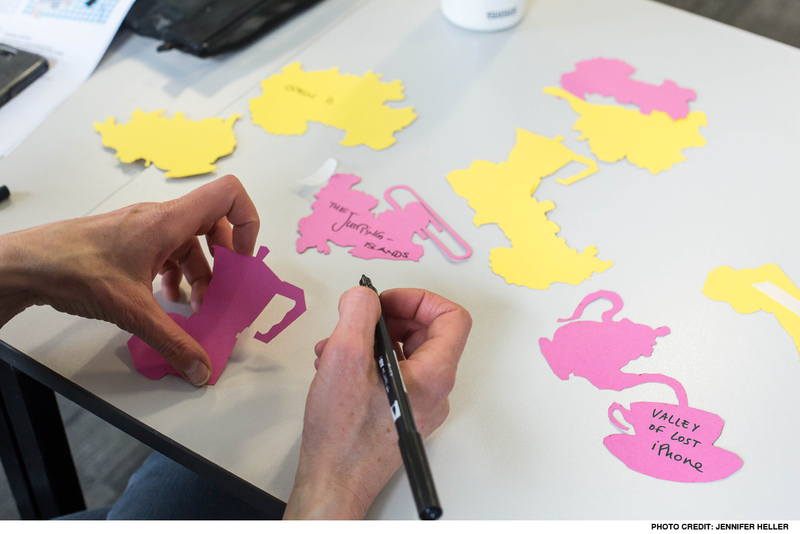 We used lo-fi materials and everyday objects to help us create quick proposals, concluding with a group discussion, touching on subjects about assumed roles in family life, gender and health.